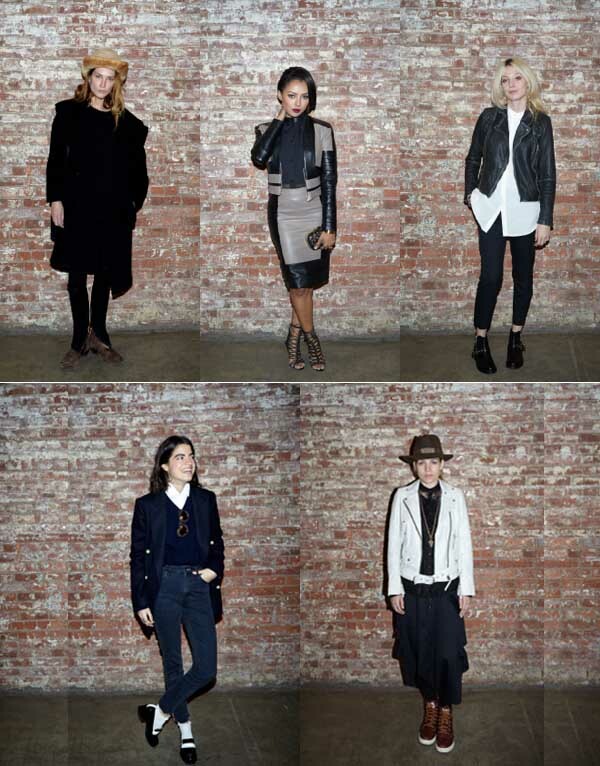 British brand AllSaints returned to New York Fashion Week to present its Autumn/Winter 2014 collection. “Rip It Up” the film is presented as an immersive multimedia experience, combining a 60ft video installation with audio soundscapes of the East London streets. A complete static presentation celebrates the continued evolution and elevation of the AllSaints womenswear, menswear and accessories collections. Model, Erin Wasson, CW’s “Vampire Diaries” actress, Kat Graham, model and DJ, Cory Kennedy, Man Repeller, Leandra Medine, HBO’s “Girls” actress, Zoisa Mamet, and singer-songwriter, Skylar Grey attended the show.